Students begin working with state of the art technology in Oct.
MORGANTOWN, W.Va. – West Virginia University (WVU) School of Dentistry and the Center for Research and Education in Technology, Inc. (CRET) celebrated the September 21, 2017 opening of the CRET Innovation Center. CRET, a non-profit consortium of academics and industry, provides the most recently developed and technologically advanced materials, furnishings and patient care devices for dental operatories, dental labs and sterilization centers. The equipment is consigned to the school for the length of a contract at no cost. Dr. Edward F. Rossomando is the CRET President and Professor Emeritus at the University of Connecticut School of Dental Medicine. “CRET’S partnership with WVU to design, build and open the innovation center embodies the power of partnering industry leaders with academia,” he said. WVU School of Dentistry students and faculty will have access to technology like intraoral cameras and combined two and three-dimensional imaging capabilities similar to medical CAT scans that allow for examination of the entire head and neck regions. In addition, digital impressions expedite the manufacturing of crowns. The process is completed within an hour by an onsite device that cuts the crown from a solid block of composite material eliminating a second patient visit. Even more importantly, various oral cancer screening equipment will make it easier to distinguish potentially cancerous lesions in a patient’s mouth from normal but questionable looking tissue. 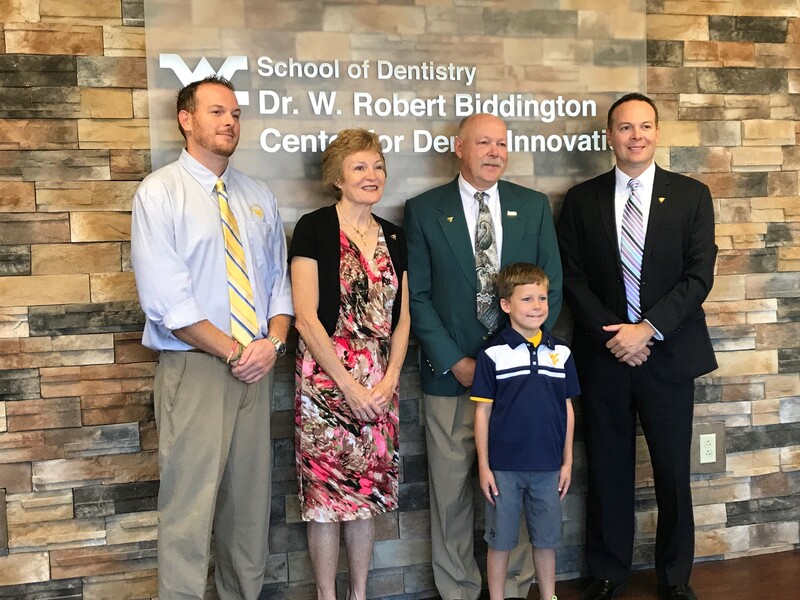 Lauren Yura, D.D.S, a 2015 graduate of the School of Dentistry, is the director of the Biddington Innovation Center, which is named for the school’s longest serving dean who also served as Interim Chancellor of the entire Health Sciences Center at WVU. Since July, Yura has overseen renovations and plans for the Suncrest Towne Centre clinic located along Route 705 in Monongalia County. Each fourth year dental student will spend a two-week rotation mastering all that is new at the innovation center while at the same time treating their own patients in one of the five state-of-the-art operatories. “With the opening of CRET, Morgantown will be the premier destination in the Eastern U.S. for professionals to see and use the latest in dental technology. We will be one of only three CRET innovation centers anywhere in the United States and Canada. We have embraced this project with a huge amount of enthusiasm, and we intend our innovation center to be the flagship of all of them,” added the dean. In October, fourth year dental students will begin to be introduced to and then become acclimated to the new space and equipment. Students, under the supervision of faculty, are expected to begin performing procedures in the Biddington Innovation Center in late October or early November. The innovation center represents a first for the 60-year-old dental school. Digital technology in dentistry will now be prominently featured throughout the curriculum.